Indie Retro News: The Shadows of Sergoth - Stunning homebrew Dungeon Crawler with new Amiga footage! If you've been following our news throughout 2018 you would've learnt that the incredible homebrew dungeon crawler of The Shadows of Sergoth, was not only released to the delight of the Amstrad community, but was also being ported over to the Amiga by Colin Vella, Graphics and Sound by Saul Cross and publishing by the popular publishers Double Sided Games. Well there's great news today as the publishers have released new footage showing the very latest in development for this eagerly awaited Amiga crawler. 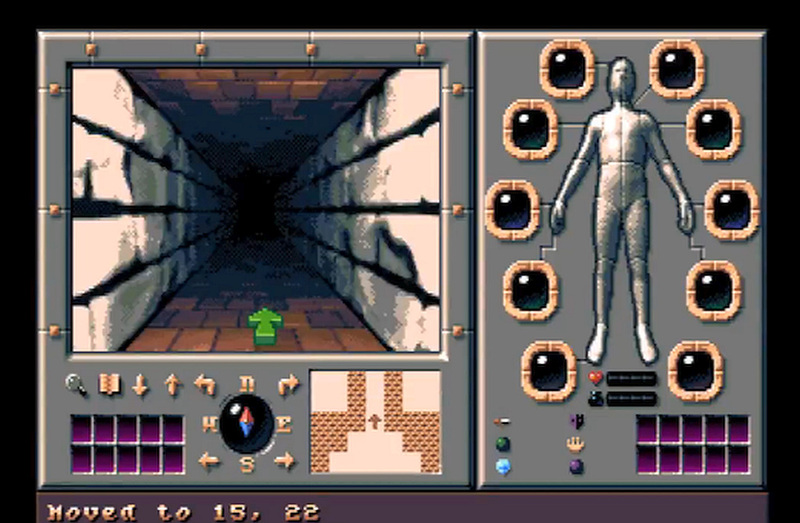 As noted by the publishers, they have told us this latest footage of their upcoming dungeon crawler for the Commodore Amiga 500, doesn't just show the custom map editor and the exporting to the rendering engine, but also shows a small snippet of the gameplay giving us some indication of what the game is going to be like when it's actually released. Do note however the game is at a very early stage, and has a long way to go before it is every bit as good as the incredible game released on the Amstrad.